"Beauty goes beyond mere necessity. to a place of delight, even joy." There's a lot I can say about my Sweetie. He holds me when I cry. He's mostly a good driver, except when I'm backseat driving and yell, "Look out!" He's organized in a way that I will never be. He loves cats. Dogs too. But there's a soft spot in his heart for big gray English Blue cats. He's never met a potato chip he didn't like, but he prefers Wavy ones. He's a volunteer Guardian ad Litem. He doesn't say anything when I sleep in late … really late. Or steal most of the covers. He's a life coach, cheerleader, and good listener. When I say I'm okay with not having a Christmas tree this year, then change my mind a couple times before settling on a white tree, he says, "Looks good to me." He lets me be me. 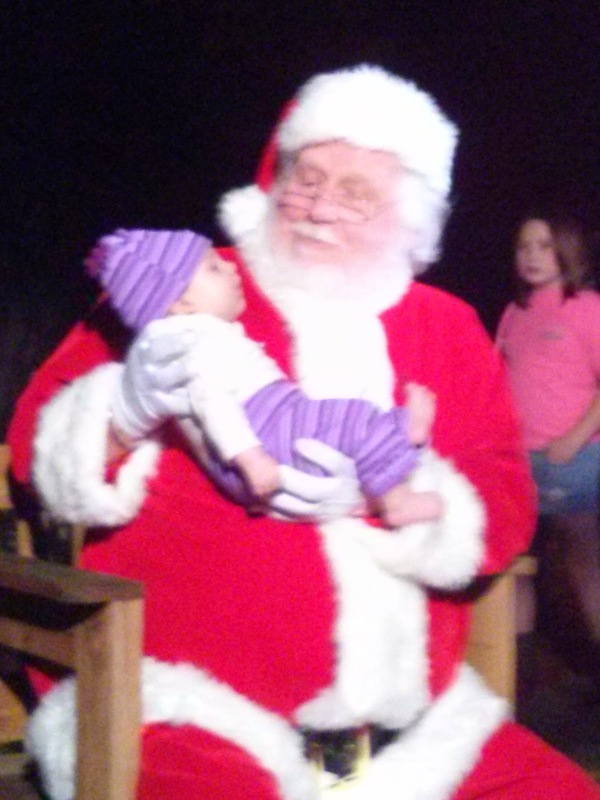 He is the next best thing to the real Santa. 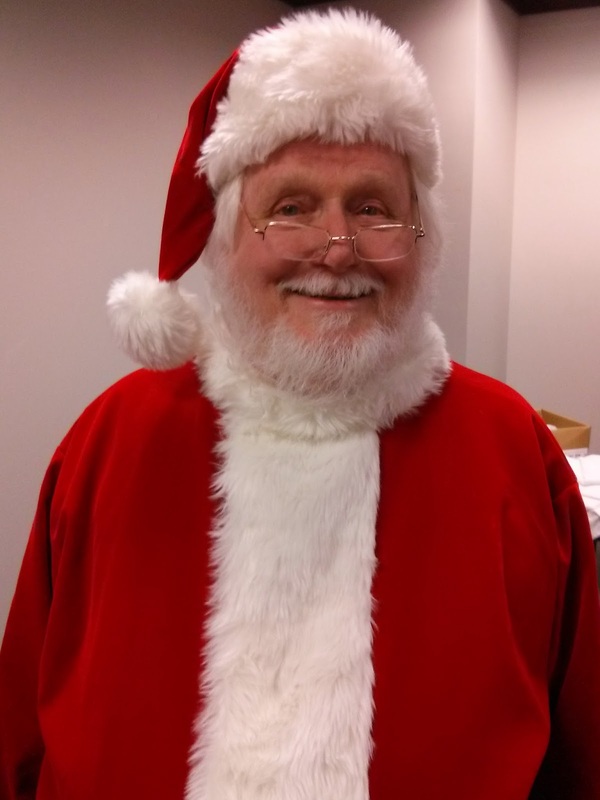 Last week he donned his Santa suit and went down to the courthouse where 12 kids were being adopted into "forever" homes. 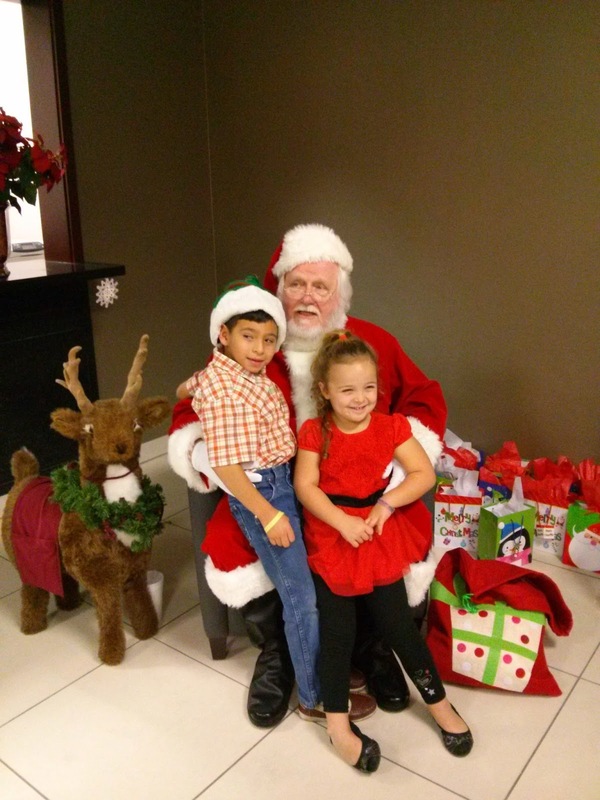 It's an annual tradition for Santa to be at a reception for these kids who have probably had more trauma in their short lives than some people have in a lifetime. 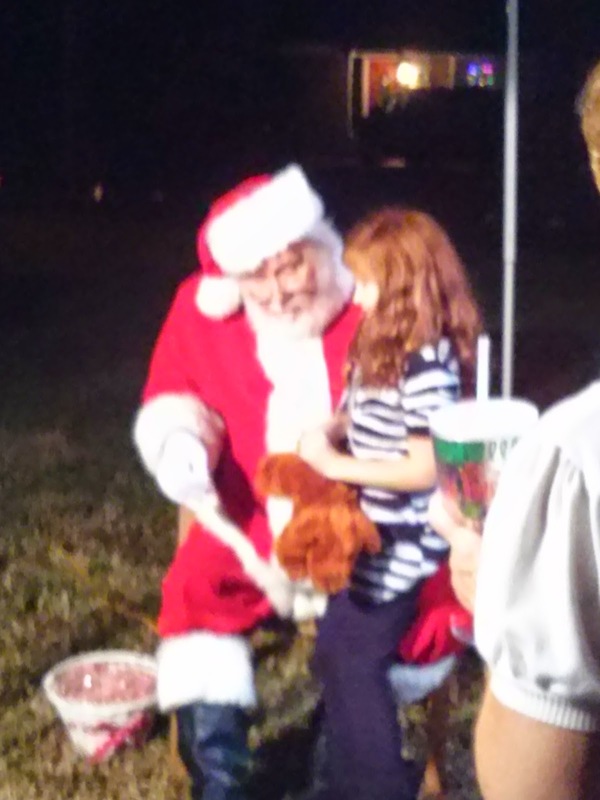 Tonight Sweetie, aka Santa, rode into the neighborhood on a fire truck. I swear I almost swooned when I saw Santa waving to a crowd of kids as the truck stopped in front of the park where the annual Christmas party is held. A policeman escorted Santa through the crowd to a big chair. A queue of over 100 families formed to speak to the man in red. I watched in amazement as Sweetie, who doesn't talk all that much, spoke to each child as if (s)he was the most important person in the world. He listened to their wish lists and smiled for every picture. He held a 2 month old baby and shared his seat with a rather inebriated guy who looked like he was from the Duck dynasty. All the while, you'd have thought he just left the North Pole. You know that part in the story of the Grinch Who Stole Christmas where the Who's down in Whoville wake up on Christmas morning and are happy even tho' the Grinch had stolen all their presents. In a moment of realization the Grinch learns the true meaning of Christmas. "It came without ribbons. It came without tags. It came without packages, boxes or bags. And he puzzled and puzzled 'till his puzzler was sore. Then the Grinch thought of something he hadn't before. What if Christmas, he thought, doesn't come from a store. What if Christmas, perhaps, means a little bit more." I don't believe I've reached my usual height of Grinchness this year. I also haven't gotten into the true spirit. 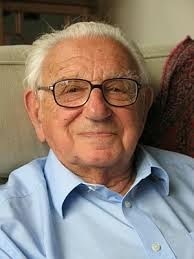 I came close tonight as I watched with "delight" as the man I love did for others what he does for me on a daily basis. He took a few moments with each person, young and old, and gave ear to their hopes and dreams. It's hard to believe in the magic and wonder of the season when there's so much going on that no one has time to listen. Have you listened lately to the voice of a child, perhaps the child within who cries out to be heard? Have you listened to hymns and songs of the season, be it Ave Maria by Josh Groban or Silent Night by John Denver and the Muppets? Have you stood under a starry sky and listened to the sounds of silence? Have you listened to an old person tell stories of long ago Christmases ? Have you heard the cries of the homeless asking for just a few pieces of change? Have you heard a baby laugh and felt, in the deepest part of you, that no matter how bad it gets, life is still good? No way to catch up. I'd like to say it's beginning to look a lot like Christmas, but that would be a big fat lie. I've tried. I've really tried. Or it wasn't happening until this morning when I was making the bed. I'd turned on the TV which was still set to PBS from last night. Sesame Street was on. Elmo's Countdown to Christmas, to be exact, but I didn't know that til the end. And I didn't know until now that's been around since 2007. See what you miss when you don't have little kids around the house. I tuned in late. The Elf in charge of the Christmas counter downer was trying to convince Oscar the Grouch to help with the countdown. I'd like to think I haven't been as grouchy about Christmas as Oscar. There's a chance, however, that given a few more undone tasks I might have to find a garbage can to hang out in. The counter downer drops, the numbers go flying all over which means there's no way Christmas will come. The Elf is justifiably upset because he was the elf in charge. But Elmo has complete faith that a Christmas miracle will happen. He makes a wish on a star and one by one the numbers are found by all the Sesame Street characters, and Santa arrives as the last number is counted. It was silly. It was also full of Muppet merriment that made me laugh out loud. Sweetie came in to see what was making me laugh so hard. He sat down on the bed beside me to watch. For just a few minutes I think our adult personas went away while our inner children, Carolyn and Jackie, watched with childlike delight. In the end Santa sings a song about believing. A jazzy song with a lot of wisdom. The line that stuck with me long after the show was over, the bed made and I circle the mall looking for a parking spot is this. But the biggest miracle is the miracle of you. You can make it happen, you've gotta just believe. I'm taking that thought with me as I crawl into bed. It will indeed be a Christmas miracle if I wake up in the morning and get things done. PS. I'm totally off the SSJE list of advent words. It you are keeping up with them, they are Become. Beautify. Heal. Thank. Ask. Relate. This is important: to get to know people, listen, expand the circle of ideas. but the important thing is that they lead towards the Good." I haven't put together a jigsaw puzzle in years. There was a time not so long ago that a puzzle always sat in some stage of completion on the dining room table. Sometimes mom would sit at the table for hours, looking at the pieces and only fit a couple of them together. Then someone else would walk in, usually Dad, take a quick look and neatly connect three or four pieces into each other. Today's SSJE word is expand, which follows on the heels of risk and act. The words go together like pieces of an Advent puzzle. The month is half over and I'm just catching on! After one risks doing something in a different way, or acts on a new idea, the natural progression of things would be the expansion of one's horizons - physically, emotionally or spiritually. Sweetie and I had lunch today with a couple we've been getting to know at church. I'm not so good at joining new groups, or opening up to new people. I'm not anti-social, just not good at small talk and glad handing, so I was a little nervous about spending more than 5 minutes with new people. It turned out to be a perfectly wonderful time. 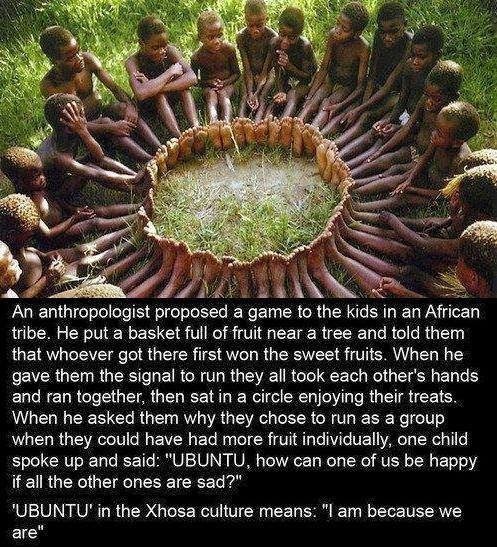 We not only got to know one another, we shared ideas as well as pictures of our kids. Talk about expanding my circle! My longest conversations of late are with a two year old. As the time wore on, I relaxed enough to be able to enjoy the moment - the sunshine, good food, interesting people and even learning new things. In his homily this morning, my priest talked about how he and his wife carefully unwrap their favorite creche which has been in the family for many years. With each piece that is taken out of the packaging, the whole Bethlehem scene comes to life light. I loved the metaphor. As each day of this Advent (preparation) time passes and we get closer and closer to the "reason for the season" each of us can unwrap our hearts to the wonder, beauty and light of the Christmas. Writing this blog has certainly shed a different light on things for me this year. As I've said before, I get uptight as each day passes and all my self-imposed goals haven't come anywhere near fruition. My neighbor said today, looking around the living room, "Oh, you're not decorating this year." I think she may be right! With only 11 days to go, I'm wondering why bother. But here's the thing, even if I don't bring down all the boxes from the attic, and dig through the knotted strings of lights for the ones that still work, I can unwrap me. I can smile at people I don't know. I can wish the haggard grocery store clerk whose computer just quit, a Merry Christmas instead of going ballistic at having to wait. I can wear some shiny earrings. I can send a card to a recovering soldier, even share un-frosted cookies. It's my light and yours that's most important. Not just in December, but all year long. If I were a cartoon right now, you might see a light bulb shining over my head with a caption that says "aha!" On the way into church this morning, I spied this car. I can't say why, but it tickled the little girl in me. It made me smile. 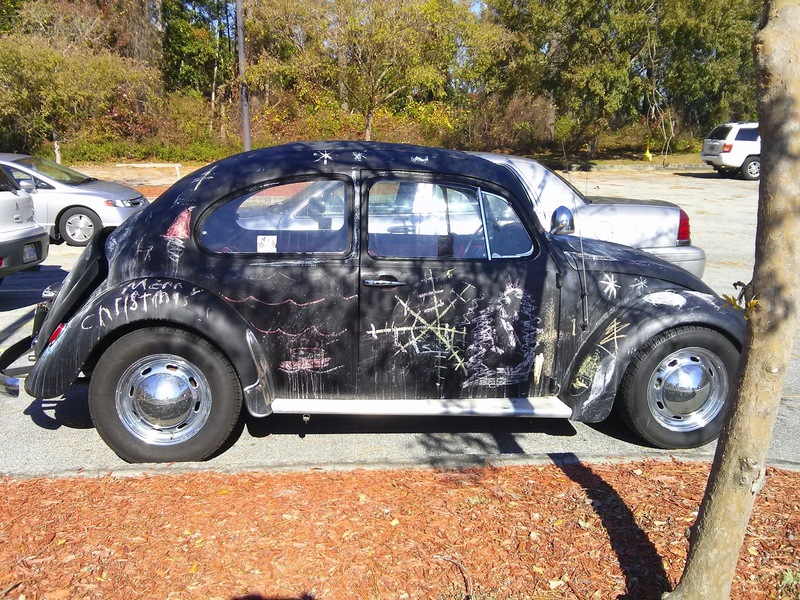 A chalkboard car. How fun is that? Sweetie just kept walking. He has no desire to paint our car matte black. But imagine. What if every day you go out and wash your car down so it is just plain, un-touched black. Then when you go out to the store, or to work, you leave your car in a conspicuous spot along with a sign that says something like, "feel free to let your inner artist loose," next to a big box of colored chalk. What might you find when you come back to the car? I dare say it wouldn't just be children who would like the idea. I bet big kids would stand around and watch for a few minutes, then grab some chalk and start coloring. How cool would that be? That is my kind of heaven! I can't tell you where the last couple of days have gone. I wish I had more to show for them. I'm not doing so good at posting every day. The SSJE's words for yesterday and today are act and risk. I think they could easily be two sides of the same coin. If once you decide to risk, action is the next step. Or maybe when you decide to act, it involves a risk. and speak to children about their stories." 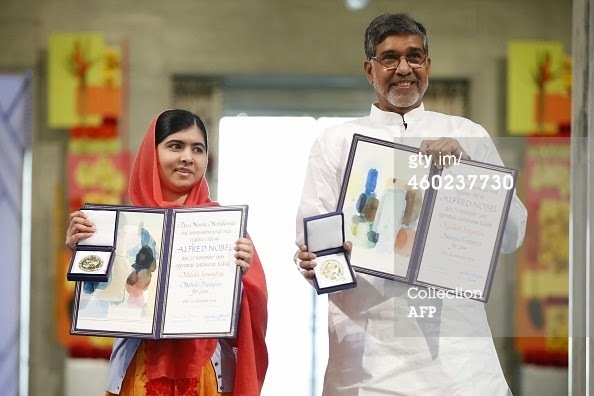 This week Kailash Satyarthi and Malala Yousafzai were awarded Nobel Peace Prize for their work with children. Both have acted in the face of overwhelming odds. 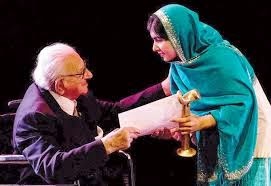 Both have faced down oppression and stood for what is right. I think these words from His Holiness Dalai Lama, could easily have been said about all the people in the world who are not only willing to risk by to act. Yesterday got away from me. I slept through most of it. When I woke up I attempted to make Peppermint Bark. My sister makes it every year. Not making it has been my tradition for about 3 years in a row. I have good intentions. I buy the white and dark chocolate chips and candy canes. I even go so far as beating the peppermint sticks into red and white striped crumbles. FYI - even if the chocolate candy doesn't get made, beating the heck out of something in a plastic bag is good for holiday stress. Determined that this would be the year I went the distance, I began by melting the chocolate chips in an improvised double boiler. My mom used to have a double boiler. I don't know what happened to it. Funny how I still find things to miss about my mom. I stirred the chocolate until it was melted and smooth. I spread it out on a cookie sheet lined with parchment paper, then stuck in the fridge to harden. Easy peasy. This would have been the perfect time to multi-task by frosting the sugar cookies I made the day before. I got side tracked doing something else as is apparently my new habit. When it was time to melt the white chocolate, I repeated the process, stirring gently as I waited for the chips to melt into a smooth paste. Only it didn't happen. It morphed into a kind of thick, dry ball. I'd been warned to watch it because there is a point at which the chocolate melts or becomes unusable. There was no discernable point. I stirred and watched but the chocolate refused to cooperate. I called my sister who walked me through the steps of melting chocolate in the microwave. I'd purposely done it on the stove because I thought it would be easier to watch. While I started over with a new bag of chips, Johnson tried to bring the old chocolate back to life. He nuked it, stirred it, added milk to it. All he got for his effort was a blob of something he could use to patch drywall. I had better luck with the second batch. It melted. I spread it on top of the dark chocolate and tossed on the crushed peppermint. Into the fridge it went and I put myself back to bed. The first thing I did this morning was check it. 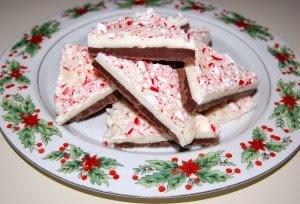 As I expected I had two separate layers of chocolate, not a pretty sheet of double-layered peppermint sprinkled bark. I was ready to toss the whole pan into the trash as well as the idea of every melting chocolate again. But hold on! I grabbed a wooden spoon and started breaking the candy into pieces. It was a Christmas miracle! Only one edge had separated. Most of the pan turned out just like it was supposed to. I was able to fill three little boxes and take them to my writing buds. I was afraid that it would have melted again on the drive to the restaurant, so I warned my friends to handle with care. Before lunch was served my foray into chocolatiering had been tasted and received good reviews. That's what friends are for! So what does all this have to do with encouragement? First of all, I called my sister 3 times last night. Each time a little more frantic. Each time she calmed my chocolate-challenged jitters and offered suggestions as to what to try next. I'd be in a bad way if I didn't have her to talk to. Secondly (is that a word?) having lunch today with my writing group friends reminded me just how important these ladies are in my life. If ever there was a group who would circle the wagons or come to my rescue, it would be these ladies. We laugh and cry together. We share our hopes and dreams as well as our writing. Critiques are offered with no agenda other than helping each other become the best writers we can be. I don't think you could find a more diverse group of women, yet the bond we share is as rock hard as unmelted white chocolate. I'm a lucky girl to be so blessed. Finally, I'm also blessed to have so many cyber friends. They've never failed to lift me up and bring me joy, especially when I need it most. P.S. My peppermint bark did not look as pretty as that pictured above. I've been on my feet almost all day. My hands have either been wrist deep in flour and sugar or hot water. I don't know how many dozen cookies I made. I do know it's barely a drop in the bucket compared to what I used to do. I didn't bake anything last year. My son blames my daughter's no carb diet. No carbs = no cookies, even at Christmas. Now there's someone with willpower. I'm trying to remember the days when baking all day brought me joy instead of exhaustion. I think there's something missing when only one person is in the kitchen doing the work. Perhaps instead of listening to NPR all afternoon, I should have played 3 Dog Night's version of "Joy to the World. "You know, Jeremiah was a bullfrog ….. I think a day full of baking should have some booty shaking in it. Too bad I just thought of it. Today's SSJE word is "respond." I feel myself responding to some un-joyful news with my typical ride in on a white horse to save the day approach. The thing is I know in this particular situation I can't do anything more than send out circles of love and believe in miracles. It's one of those things that I have to watch from the sidelines. But here's what I can do. I can be there when someone needs to talk, or cry, or scream. I can listen. I can offer hope. I can pray. These things aren't quite as demonstrative as the white horse, but as I've learned from experience they mean a lot. So, if there's someone in your life tonight who's sick, or feeling blue, or too tired to move, let alone shake a tail feather, respond by being there. Turn off your cell phone and listen to the words that person has to say. You don't have to offer advice or try to fix the situation. Saying "I hear you" goes a long way in easing tensions. Of course, a few carbs might help too. I think I'll pour myself a cup of hot tea and eat an unfrosted sugar cookie. 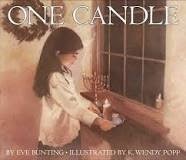 Then I'll light a candle for a dear person who is very sick. Won't you join me in lighting someone else's way? I can remember being asked in a church study group what woman from the Bible would you be? Not being a student of the Bible, I was hard pressed to think of any biblical women that I might resemble. Eve? Not that much of a rule breaker. The Virgin Mary? Not that Holy. Ruth? I'm a follower, for sure. At the time I probably picked Mary who, unlike her sister Martha, was all about making things nice for Jesus when he visited. Yup, that would have been me. I like being on the outside or in the kitchen. Close enough to hear what's going on, but not in the thick of things. What I didn't know, until I started getting Ronna Detrick's weekly emails, is there are a lot of women in the Bible - some with names, some without - whose lives were barely recorded and didn't carry nearly as much weight as the men they were married to or served. Like me, you have lived a full life. Full of sadness, grief, and loss. Full of love, joy, and hope. I know. Like me, you know and see the truth that exists around you. Full of risk at times, but necessary always. I know. Like me you are hungry for ways in which you can feel connected to something larger than yourself, something that nearly undoes you in it's beauty and power. Full of the sacred, the mystery, the impossible to understand. I know. And like me, you are overcome by joy - if not the experience of it, the desire for it. This is my legacy and gift to you: all the joy you desire and deserve. You are not alone. You are seen, heard, understood, and honored. I am Anna and you are my daughter, my lineage, my kin. Every one of Ronna's short blessings from Biblical women has made me rethink the the stories I've heard since I was a kid in Sunday school. I've never really thought about how the DNA from these women could be part of the woman I am today. As an aside, I read an article a few weeks ago that said scientists have somehow determined that some of the earliest cave drawings were done by women, not men. I think it had something to do with the size of the hands. It makes sense, doesn't it? Women, were the cave keepers, mothers, wives, and story tellers. Of course they would have painted their walls. What women doesn't want to doll up her surroundings? Did you see the word "joy" right there in the middle of the blessing? I'm finding that just by thinking about the word for these writing exercises, joy is popping up a lot more than I ever expected. Yesterday's SSJE word was watch, today's show up. Watching, I think, takes more action that the previous word - notice. In order to watch, you have to be present - you have to show up. Watching, to me, infers that once something is noticed - joy, for instance - it must be tended and embraced. It is in the watching that the ordinary becomes sacred and the impossible becomes possible. My neighbor's husband died last week after a long illness. She came over today to look at the bears I make. Like the pieces of a shattered mirror, her broken heart was reflected in her eyes. I doubt seriously that she even has words like joy in her vocabulary these days. She's never been an outgoing person, she stood silently stalwart in her husband's shadow. I worry about her spending so much time alone in her house where memories haunt as well as heal. I know what it feels like to spend the holidays without the person you've just lost. I know that no matter how hard you try, there is nothing joyous or merry about the season. I've learned, though, that what people say is true. At some point in the future you will begin to come back to life. At first, if you keep an eye peeled for the magic of transformation, you will notice little things. You'll catch yourself smiling at something the cat does. Or you'll say your beloved's name without crying. Like a crocus when it begins to push up through a snow covered garden, first the tip of a green leaf appears, then purple petals poke their heads through the white ground cover. Given enough time the world loses it's grey shadows, and begins to sparkle with all the colors of the rainbow. 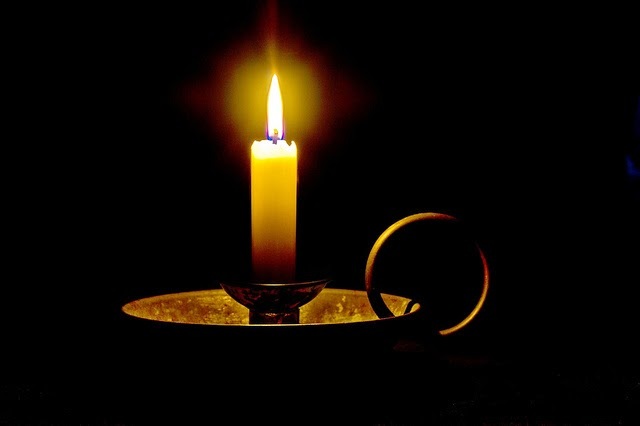 In today's writing by Ronna, Anna became a widow at an early age and spent the rest of her life in the temple worshiping and praying and watching. In her old age she realized the miracle she'd been praying for, the Messiah, had appeared. She was undoubtedly filled with more joy than she'd ever known. Her legacy, says Detrick, is the "joy all of us desire and deserve." Even if you, like my neighbor, are not feeling it, joy is your birthright. Watch for it and you may be surprised. Please check out Ronna's website. You'll be glad you did. My sweet, Bella is going through a separation anxiety stage. She always smiles when she sees me, and is agreeable to "go outside" with me, but she keeps pretty close tabs on her mom is all times. By dinner time, I'm usually only good for "potty time." Last night Mom and Dad were at a meeting so I, aka MeMe, was in charge of dinner. Let me just say that feeding the Russian army might be easier than feeding this child. "No, No," said the petite child who suddenly developed Herculean strength and almost tossed herself out of the high chair. The adage of the horse and water works for 2 year olds and milk as well. She was having none of it. Poor thing was in total melt down mode when her mom came home to change for a party. No dummy, Bella, knew if she clung to her mommy, mommy couldn't go anywhere without her. Tension and anxiety were in the air. In an effort to distract her, we all walked to the garbage drop down the hall. 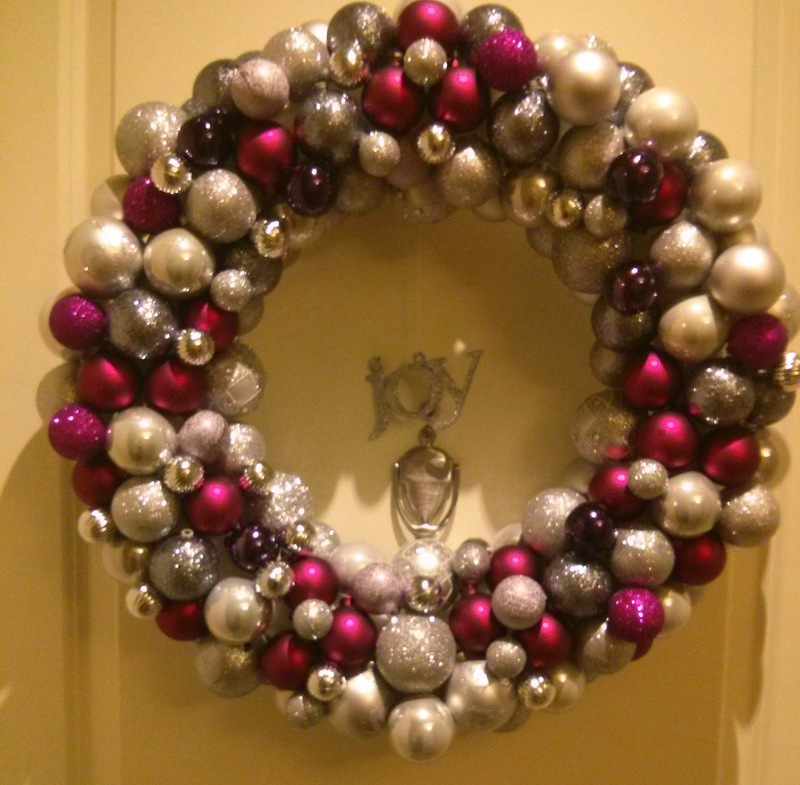 When we noticed (today's SSJE word) this wreath on a neighbor's door, her mood changed. "Christmas!" she squealed. We all stared at the the beautiful sight. It wasn't a star, and there were no angels singing, but for those few seconds Christmas magic calmed the heart of a little girl. The word "Joy" was not lost on me. I know too well how anxiety and stress can make a person cranky and clingy. My excuse is not a developmental stage. It's more the result of trying to do too much, especially at this time of year. With 61 Christmases under my belt, you'd think I would have learned by now that there's no such thing a "perfect." All I can do is all I can do. I've learned that the best holiday moments are just that - moments. Unexpected moments of wonder and surprise. 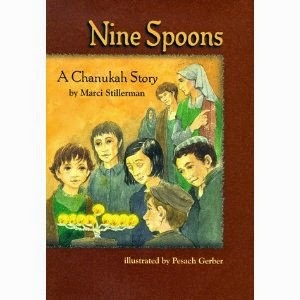 I've also learned that it helps to have the eyes and wishful thinking of a child during the month of December. I'm sure a Christmas tree looks taller and prettier from the floor, instead of a step ladder trying to place the lights and ornaments just so. Hurried trips to the mall are more exciting when animated Christmas scenes capture your attention. Three feet of snow can either be a pain to shovel or a clean canvas for making snow angels. A trip to the garbage dumpster can be made special by a glittery purple wreath. Being an adult at Christmas is hard work. Why do I always forget holiday magic resides in the pure delight of a child? My sister sent me a daily devotional from Joel Osteen today. He quoted an article that said, " the average child laughs over 200 times a day, but the average adult only laughs 4 times a day. What’s happened? We’ve allowed the pressures of life, stress and more responsibilities, little by little, to steal our joy. To quote Oprah, one thing what I know for sure is when I'm with Bella, I laugh more. I see merriment in simple joys like squirrels playing "ring a rosie" around the trunk of a tree. If you haven't laughed out loud in a while, I suggest you spend some time with small children.. Trust me, you'll be glad you did. May angels guard you as you sleep. Well, so much for perfect blog attendence. I completely missed yesterday. 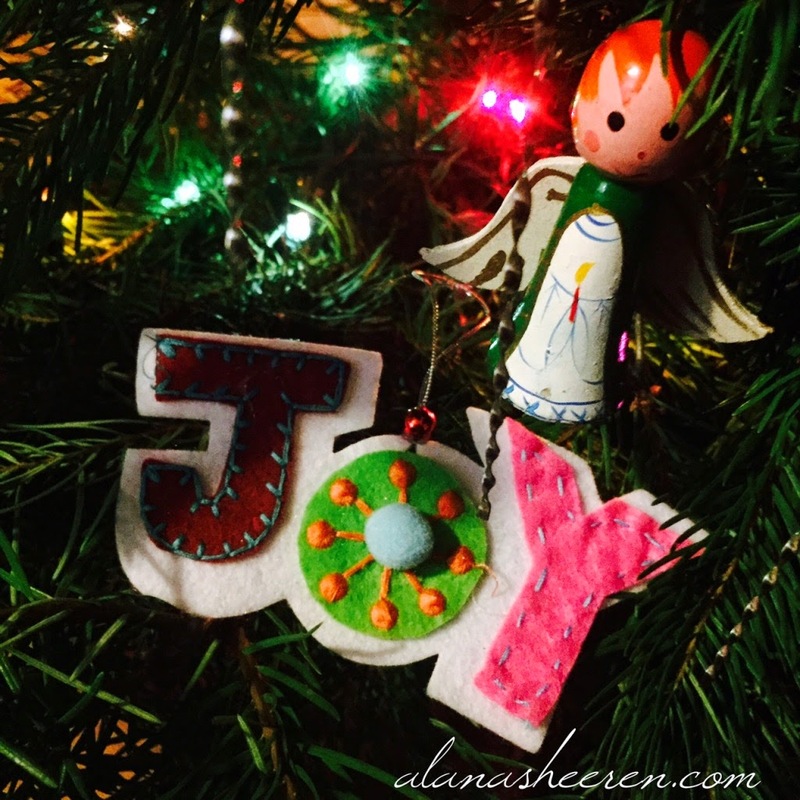 I had thoughts throughout the day about joy, and the SSJE advent word "imagine." I just never got my act together enough to write those thoughts down to see if they made any sense. I'd have to say pretty much the same thing for today. Except today my excuse is that I was making bears instead of writing. I cut myself some slack when I read Alana Sheeren's Monday Mantra and asked her if I could copy it. I readily admit that it was this picture that caught my eye. But as I read on, I agreed with everything Alana said. Who hasn't had those moments when we wish for Martha Stewart to pop in and work her magic with the decorations and in the kitchen? And who hasn't melted into a puddle of tears when their kindergartner brings home a glue and glitter covered piece of art to go on the very un-Martha tree? Who hasn't looked at their tree years later, after the kids are gone with kids of their own, and wept over each tiny plaster of Paris hand print or cotton ball snowman? I believe there is a time every year, when everyone, young and old, sits in front of a Christmas tree to admire it's homemade ornaments for the umpteenth time and let sweet memories surround them with the quiet joy of the season. Please take a few minutes to read Alana's post below. I'm sure she'd love for you to visit her blog and leave a comment. Every year when we decorate our Christmas tree I have a moment. A moment where I think, Gosh wouldn’t it be nice to have a designer tree where everything was color coordinated and matchy matchy? This year that moment lasted longer than normal. Partly because I let my daughter talk me into the multi-colored lights and partly because I was tired and opening that last box of mostly-handmade ornaments about did me in. But as we hung the last of the glass and tin icicles I remembered who I am. I am the little girl who made ornaments with her mom and hung them on the tree every year into my twenties, remembering only bits and pieces of those creative, happy moments as I grew older but holding their specialness in my heart. I am the heart-on-my-sleeve woman who gets teary hanging the painted egg that came from Norway when I was an infant and the tin Scottie that reminds me of my childhood pups and the glass ball from our honeymoon in St. Lucia and the two hand-painted gifts from other baby loss moms the year Benjamin died. 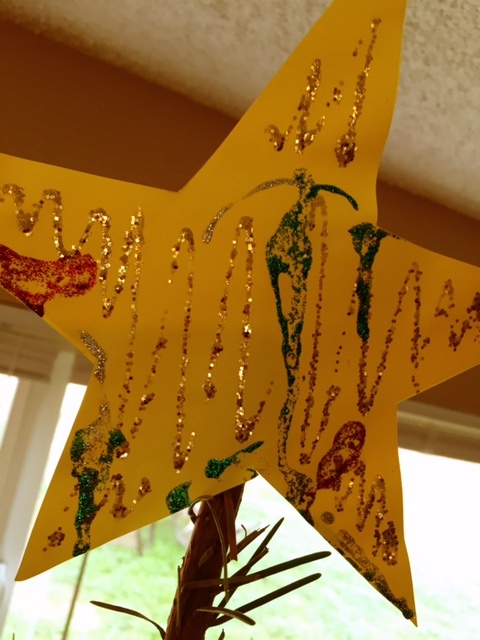 I am the mama who delights in her daughter’s pride as she places her handiwork carefully on gently drooping branches and stretches on her daddy’s shoulders to add the yellow construction paper and glitter glue star on top. This is our tree. This is our way. Whether it’s your holiday decorating or the clothes you wear or your path to peace, or success, or joy, forget what everyone else says to do and find your way. YOUR way. In this moment, what is right for me? In this moment, what is my way? In this moment, how do I want to feel? In this moment, who am I? Ask the questions and listen closely for the answers. Then turn your face in the direction you want to go and walk, even if it’s against the crowd. P.S. Changing direction is always allowed if you’re following your heart. P.P.S. Remember to be kind in the process. To yourself. To your loved ones. To those walking another way. P.P.P.S. There’s a lot of talk of joy as we enter the holiday season. If you’re not feeling it, give yourself permission to be okay with that. Find your way through the holidays, even if it’s not pretty and shiny and bright. What is your favorite ornament from years past? PS. Today's SSJE word is "remember." Pretty cool how I worked it in, don't you think?